2019 Spring Programs - Register today! LARGEST JUNIOR LEAGUE PROGRAM in the USA! PTC’s Youth Golf Development Program. Building the Athlete First, Teaching Golf Skills & Creating a Love for the Game with the STUDENT First Focus is the North Star of our program. A professional coaching influence combined with effective training, practice, and competition is paramount in this process. 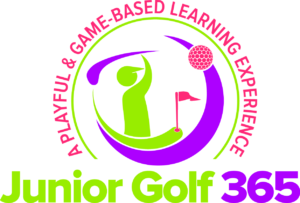 Junior Golf 365 Benchmarks/Missions help guide students through each Building Blocks and enjoy the Great Game of GOLF… JOIN US today!